PORTLAND, Maine — October 13, 2017 — A new study, published in Food & Function, suggests that consuming a flavonoid-rich Wild Blueberry beverage may enhance executive function in 7- to 10-year-old children. The study, led by Professor Claire Williams and Dr. Adrian Whyte from the School of Psychology & Clinical Language Sciences at the University of Reading in England, explores the impact of flavonoid consumption on children’s executive function, and adds to a growing body of evidence that shows flavonoids can enhance cognitive function following acute and chronic interventions in humans and animals. The study demonstrates for the first time, significantly faster response times on an executive function task in children who consumed a beverage containing wild blueberries. “We have known for some time that flavonoids promote healthy brain function in adults and have also found that acute flavonoid intervention via a wild blueberry beverage has a positive effect on episodic memory in children,” said Professor Williams, a leading researcher on the effects of flavonoids in children. “This is the first study to examine the effects of a flavonoid intervention on an executive function task where we increase or decrease the cognitive demand—making the task easier or more difficult to perform across different trials,” she noted. Executive function is a set of mental skills, controlled by frontal lobe area of the brain, that helps us manage time, pay attention, and get things done. In this double-blind cross-over study, 21 children between 7-10 years of age were tested with an executive function task after drinking a beverage containing 30g of flavonoid-rich wild blueberry powder (equal to about 1¾ cup of frozen wild blueberries) or a matched placebo beverage. The children could perform the tasks significantly faster after consuming the wild blueberry beverage. The study, titled: “The effect of cognitive demand on performance of an executive function task following wild blueberry supplementation in 7- to 10-year old children” is available here. “Our team found evidence of improved task performance in relation to cognitive demand,” noted Professor Williams. “In other words, when compared with the placebo, response times for the more difficult trials on this executive function task were improved following the wild blueberry beverage,” she said. The findings of this study are good news for the health and nutrition community, which advocates a copious consumption of flavonoid-rich fruits and vegetables. Professor Williams has published numerous studies examining the relationship of flavonoids and human brain health. In 2017, she published “Effects of Acute Blueberry Flavonoids on Mood in Children and Young Adults,” the first study to show that consuming flavonoid-rich wild blueberries may significantly boost mood in both young adults and children. In 2016: “The effects of flavanone-rich citrus juice on cognitive function and cerebral blood flow: an acute, randomized, placebo controlled crossover trial in healthy young adults” was published in the British Journal of Nutrition. This study revealed that consumption of flavanone-rich citrus juice in quantities commonly consumed can acutely enhance blood flow to the brain in healthy, young adults. Also in 2016: “High-flavonoid intake induces cognitive improvements linked to changes in plasma brain-derived neurotrophic factor: two randomized controlled trials” was published in Nutrition and Healthy Ageing. Here they showed that increases in cognitive performance induced by high flavonoid interventions corresponded with concurrent changes in serum BDNF levels, suggesting a role for BDNF in flavonoid-induced cognitive improvements. In 2015: “Cognitive Effects Following Acute Wild Blueberry Supplementation on 7 – 10-Year-Old Children” was published in the European Journal of Nutrition. 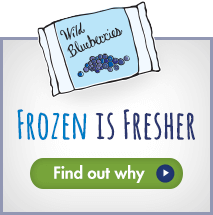 The study revealed that Wild Blueberries boost memory and concentration in elementary school children.